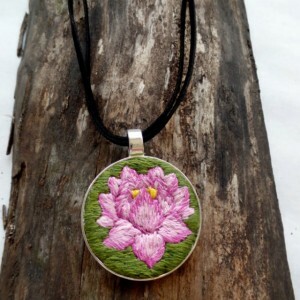 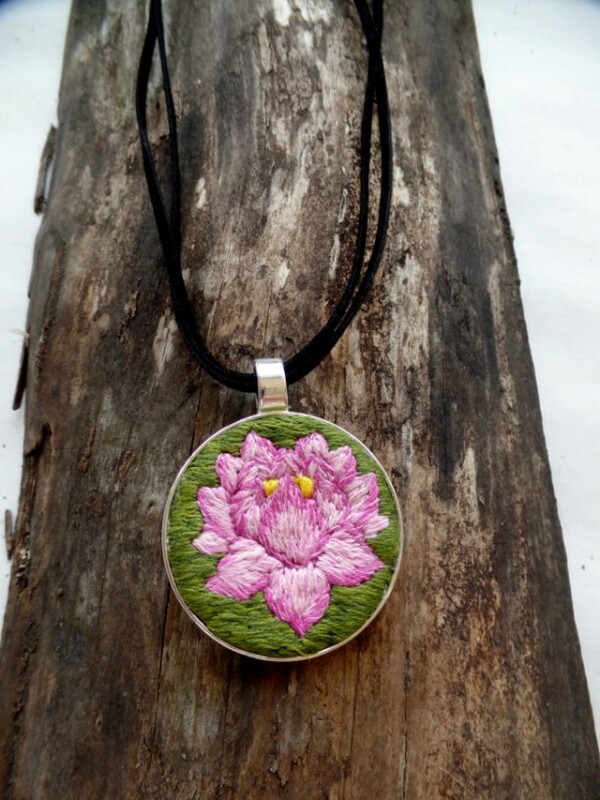 This lovely lotus flower bursts with pink and green of spring. 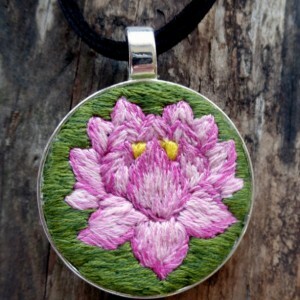 Whether you're a believer in the purity of the blossom or simple appreciate it's beauty, it will add joy to any day. 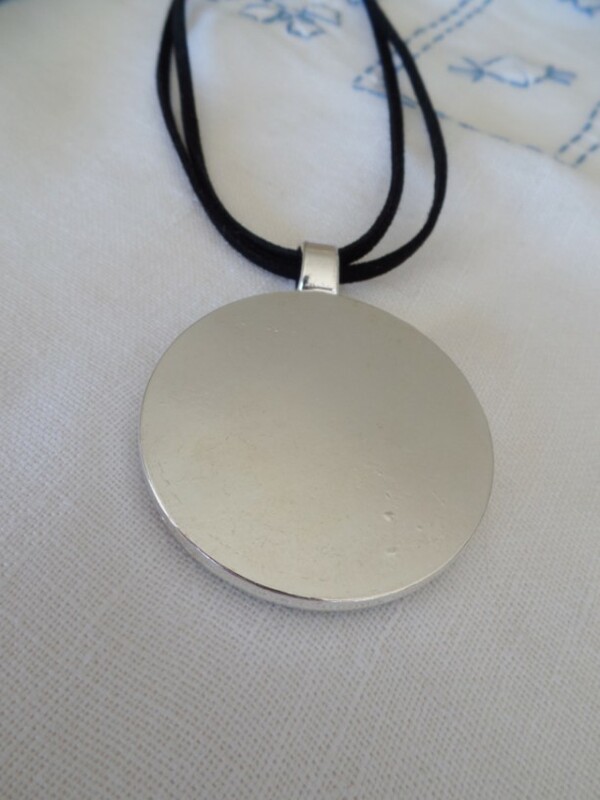 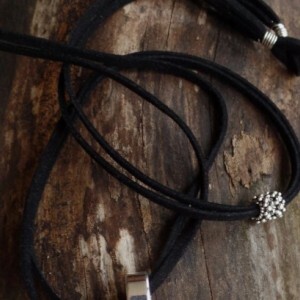 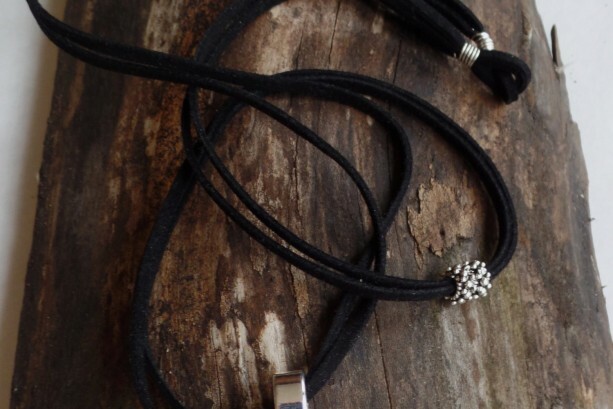 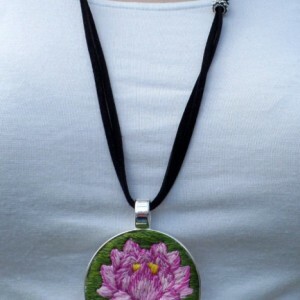 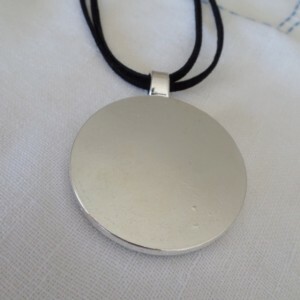 The pendant is set in a 48mm silver plated bezel paired with a 34" double suede cord and adjustable charm. 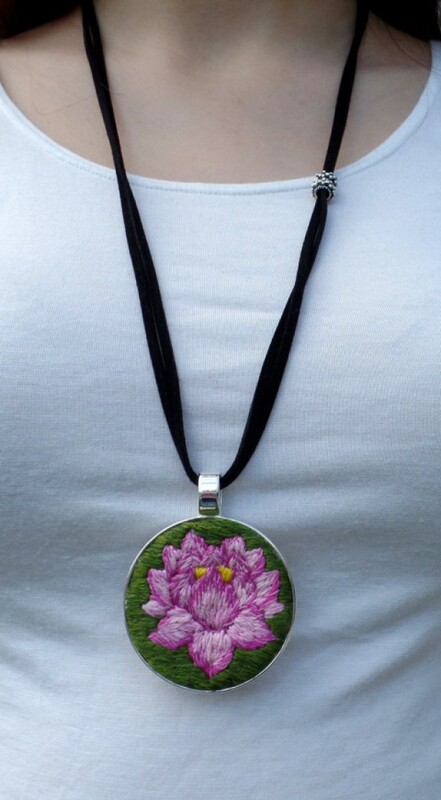 Ask me about a custom version for you in any colors of your choice. 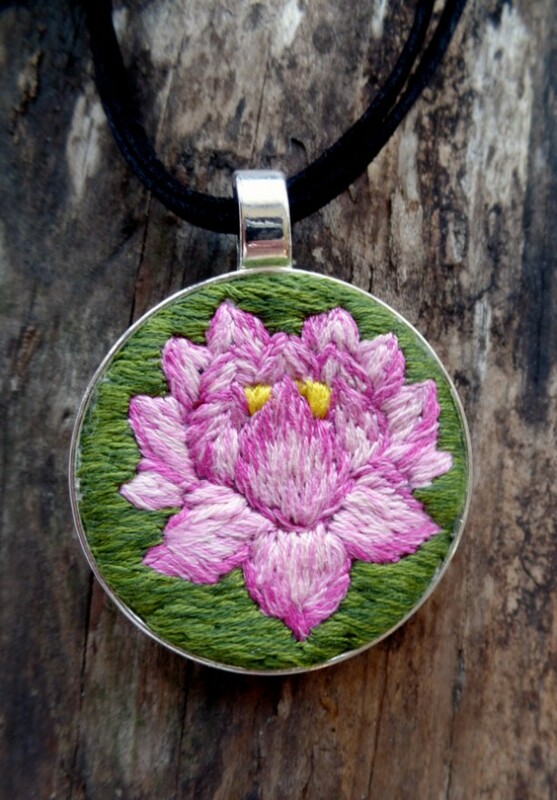 These pieces of textile art can be re-created but will always be one of a kind.